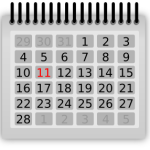 Please, click here to see our calendar and to register for any of our current classes. Do you prefer individualized, one-on-one meditation instructions over a group setting? We also offer private meditation classes! We can arrange a day and time that works for you and give you personal instructions in meditation or mindfulness yoga at your home. The hourly rate for private classes is $85.00/hr. for up to two students.